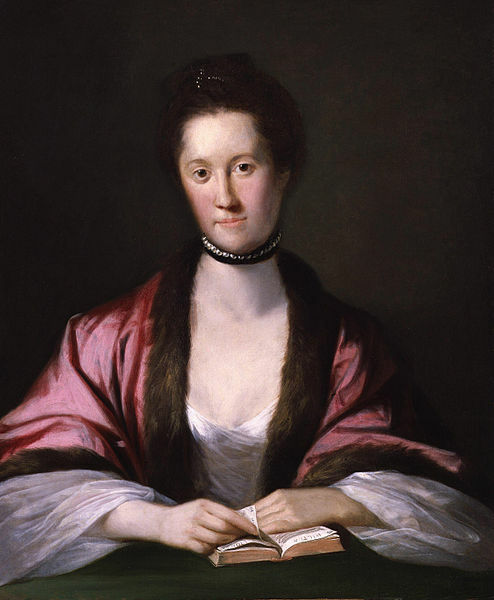 Among Toby's most intimate friends was the writer Anna Seward, known as the "Swan of Lichfield." She attended at least two of Toby's public performances, and served as a member of the "jury" at Toby's contest with a rival pig in London --Toby's invitation to her, and her reply, are given in full in his Memoir -- and so affecting was her letter, that Toby had it stitched within the lining of his waistcoat, so as to keep it always near his Heart. Yet today, even though many women writers of the 18th century -- one thinks at once of Fanny Burney, Hester Thrale, or Mary Wollstonecraft -- have made their way back into publication and a presence in literary anthologies, Miss Seward has remained on the periphery. This may soon change, as there have, within the past two years, been both an excellent critical biography by Teresa Barnard and a broader historical study, Anna Seward and the End of the Eighteenth Century, by Claudia Kairoff. Time will tell whether this renewed interest in Seward as an historical figure will translate into a revival of interest in her literary output. As Toby notes, Anna Seward was a child prodigy, said to be able to recite passages from Milton's L'Allegro when she was only three years old. Her father had been Dr Johnson's old schoolmaster (and was ill-remembered by his most famous pupil for his fondness for the lash), and her sister Sarah had been engaged to the learned Doctor's stepson. Alas, she died on the eve of their wedding. Seward was the author of a novel, Louisa. as well as a considerable volume of poetry. She was best known for her elegies, including those on David Garrick, Major André, and Captain Cook; so strongly was she associated with them that Sir Walter Scott, who edited her Poetical Works, was said to be unwilling to start his work while she lived, lest he die first and she end up writing his elegy. Mike, many thanks for your comment here. That's a fascinating family connection, and that you have some of her letters is quite astonishing. The oyster anecdote is pure delight, almost as grand as Dr Johnson's habit of personally buying oysters for his favourite cat! Buying oysters for your favourite cat sounds eminently sensible; buying them for your Baptist Minister (who was riddled with gout and thus should not have been indulging in molluscs at all) was perhaps not so wise! Interestingly nowhere does my ancestor ever comment on Anna's friendship with Honora Sneyd. Anna, on the other hand, wrote to reprimand him if he failed to send his regards to Honora when writing to the family.